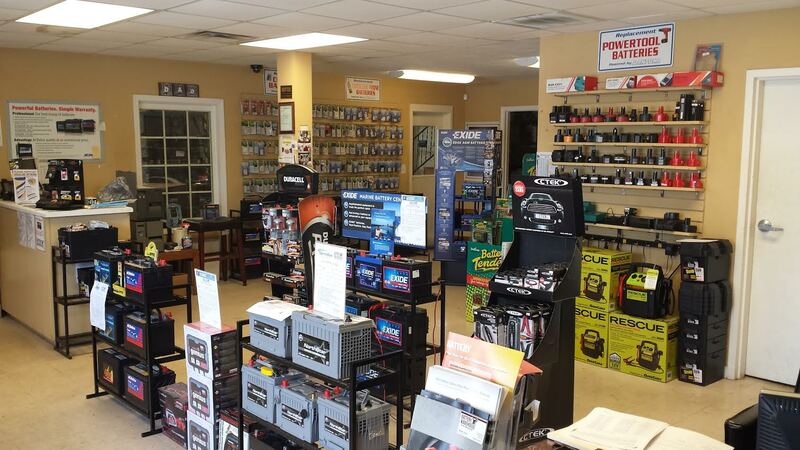 Battery Warehouse, based in Milledgeville, Georgia, specializes in automotive batteries, commercial batteries, and golf cart batteries. The brands we offer are ACDelco®, Exide®, Crown® Battery, Lifeline, and Powermania Chargers. Our battery dealers sell a large selection of batteries for all kinds of automobiles. Please note that cranking power factors into the cost. Let us install the battery for you at our warehouse. We provide batteries for commercial trucking, as well as domestic and imported heavy equipment and tractors. Purchase a wide range of deep cycle application batteries, including 6-, 8-, and 12-volt selections, from us. We carry batteries for all types of golf cart, RV, and industrial scrubbers/sweepers. We sell marine deep cycle and starting batteries for fishing or pleasure boats as well as powersport batteries for use in personal watercrafts, ATVs, utility vehicles, and motorcycles. We also carry a complete line of chargers and maintainers to maximize the life of your battery. Keep your cell phones, cordless phones, wheel chairs, computer backups, and power tools running with re-chargable batteries. Alkaline batteries are also available from Duracell and Energizer for everyday devices.